Building a job-landing resume doesn’t have to be hard. Make life easier by using our online resume builder. In just four simple steps, you can have an eye-catching resume ready to send out to your top employers. Job hunting can be a challenge, but creating a high-quality resume shouldn’t be. At Great Sample Resume, we offer free top-quality templates that meet your specific resume-writing needs. Don’t want to use a resume builder? If you prefer to write your own, we also offer customizable resume templates in Microsoft Word format. Make them your own in just a few minutes! 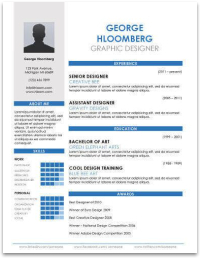 See an additional 275 resume samples for free layouts, expert formatting, and professional typography that shines. Most recruiters and hiring managers today utilize Applicant Tracking Systems (ATS), to more quickly and efficiently evaluate candidate applications and eliminate under-qualified jobseekers. The software imports, scans, and ranks resumes based on how well the candidate’s qualifications match the job description. Our resume builder works hard to format resumes in a way that makes it easy for an ATS to read and match the content. We also offer 1,000s of pre-written bullet points that can be used in your resume. These are optimized to match the most common job descriptions in the market today. Building an ATS-ready resume has never been easier! Did you know that, on average, recruiters only look at resumes for 6 seconds? With such high volumes in applications, only 20% of candidates make it through to an interview, highlighting the importance of building a resume that stands out against the competition. Our resume builder gives you a head start in your race to land your next exciting role. Great Sample Resume formats, designs, and optimizes your resume to look great right out of the box. Great Sample Resume is here to make your life easier. We provide a collection of free resume and cover letter resources that will help you land your next job quickly! We also have a series of business-related letter samples to help you save time on everyday business tasks. Resume objectives are used to show employers what you’re looking for in your next role: take a look at our samples today to hone in on what you want in a job. Sometimes having an example to work from can give you the boost you need to write a great resume. Check out our resume examples today. Customizing your resume to the job description can increase your chances of success. Review our library of job descriptions today. A great cover letter can help distinguish you from the competition! Check out our cover letter samples to make yours shine. Need a template for writing various work-related letters or emails? We have curated 100s of business-focused sample letters for you to use in a variety of scenarios. Need a professionally written resume? Our partner LiveCareer provides options for resume-writing services for every budget.